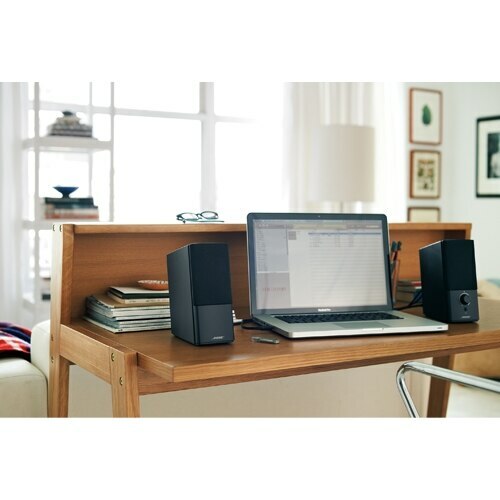 You’ll love the Companion® 2 Series III multimedia speaker system if you like to play music, games and videos on your computer. 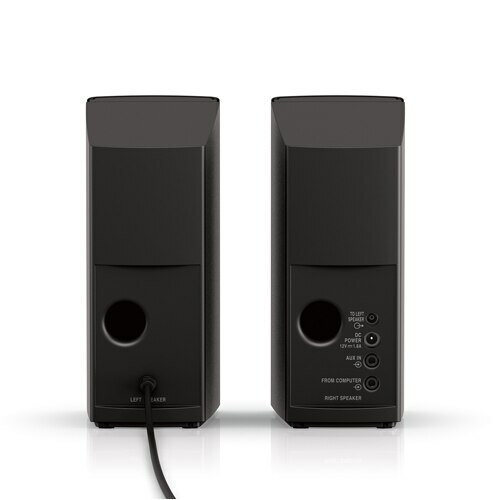 Your original speakers will be no match for the significantly superior performance you’ll enjoy from our most affordable computer speaker system. Your computer gives you access to a world of entertainment. 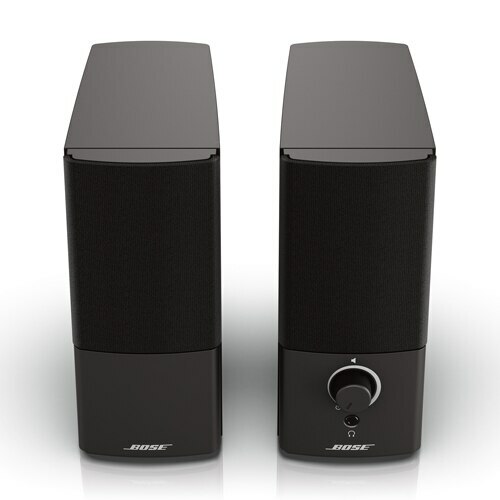 Now listen to it all with just two speakers, thanks to Bose® engineering. Our proprietary digital signal processing delivers sound that is always rich-sounding and clear, at any volume level. This means that you can now enjoy your favourite streaming content, music and videos more than ever before. Brace yourself for the widest soundstage from your computer or laptop ever. TrueSpace® stereo digital processing circuitry lets you enjoy sound that is lifelike and spacious while sitting at your desk. Don’t just play your videos, games and music. Feel the performance. Our speakers’ ported cabinet design now allows you to notice more detailed sound and deeper low-end performance. You can set the system up in minutes, because everything you need is in the box. And for ease of listening, the headphone jack and volume control are situated on the right speaker. 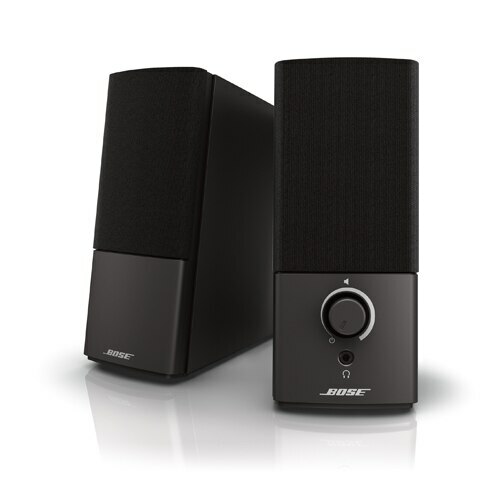 To bring Bose® performance to another audio source such as your iPad or iPhone, simply use the auxiliary input. Music, games, videos and streaming media. Whatever you enjoy on your computer, you can enjoy it more with better sound. Presenting the Companion® 2 Series III system. 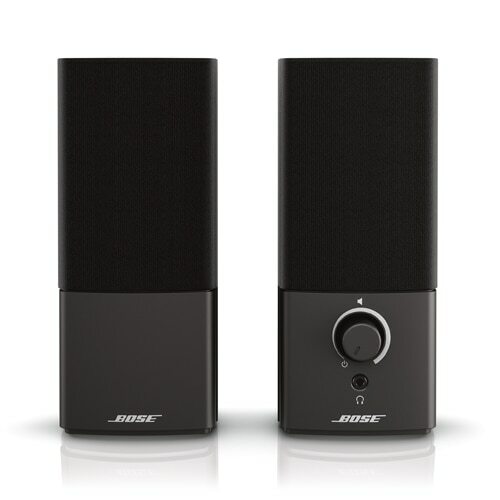 It delivers a significant performance upgrade in sound quality over your computer’s original speakers and most conventional speakers. These speakers are engineered with proprietary digital signal processing to improve performance, delivering crisp, clear audio at all listening levels. 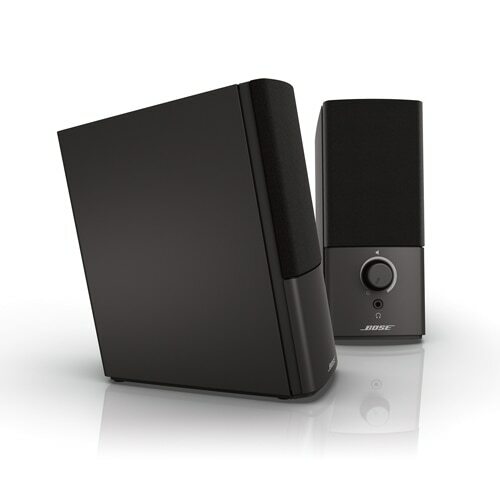 Exclusive TrueSpace® stereo digital signal processing reproduces wide, lifelike sound from just two speakers, bringing more life to your music, games, video and streaming media. The dual inputs provide easy connections to your computer and additional audio sources. And the volume control and headphone jack are within easy reach on the front of the right speaker. 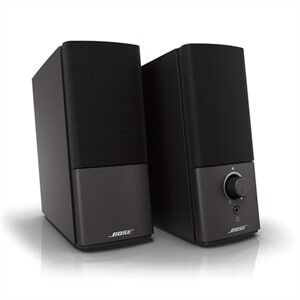 Your sound upgrade is even complemented by the sleek, elegant design of the speakers.